40 Is The New Black. I am turning 40 in about 7 weeks I am feeling fabulous. It seems to me, life has only just begun. It is so exciting (and hectic) that I often find myself too nervous to eat. But I am constantly reminded, that I have to nourish myself with food,honey and water, or else I would not have the energy and stamina to keep up with the pace. So I entice myself with comfort food, such as my Nespresso Roma and Nutella in the morning, (yes I eat Nutella with a spoon sans bread), boiled carrots and broccoli for lunch, and a glass of my favourite red for dinner. As you can see, I prefer to always stay some what hungry. It keeps me yearning. And yearning gives me something to look forward to. 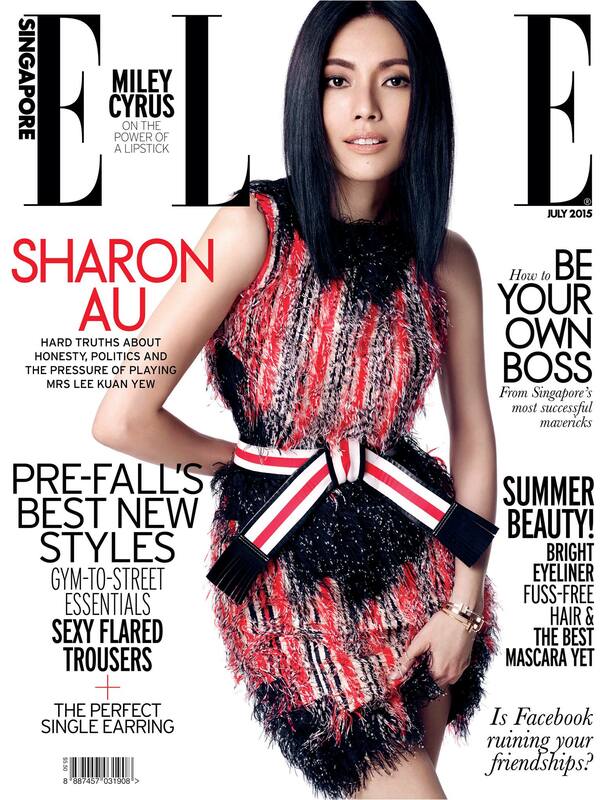 Honoured to be on the cover of Elle Singapore this month. It has been 11 years since I last graced Elle’s cover and I must admit, I do age quite well. More importantly, I have never been more comfortable with being me, flaws and all. As I sit outside on my balcony, typing away, listening to the crashing of the waves, distant flickering lights of the ships beckon to me, my silent companions. How lovely life can be.